Jump on an authentic Royal Enfield® – India’s answer to Harley Davidson – and engage in a journey you will never forget. Want to travel like a real Indian? 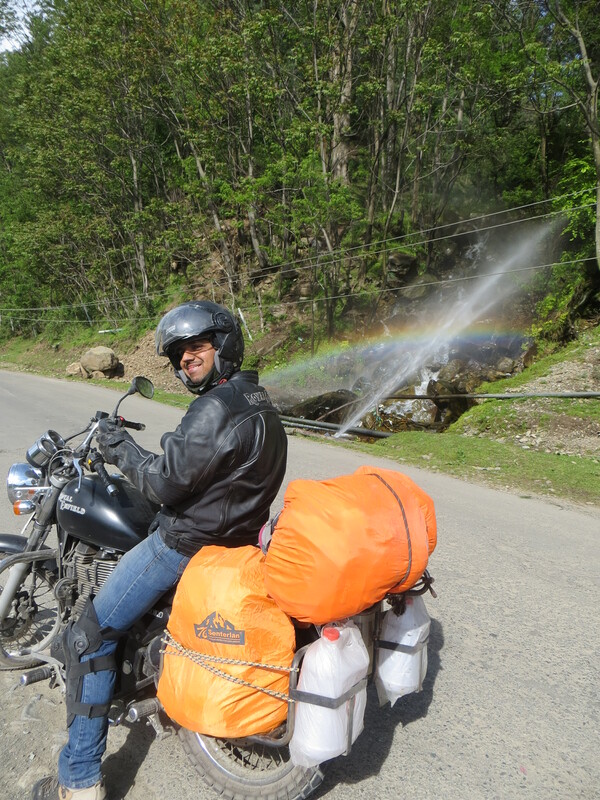 Our personalized motorbike tours will show you the real India. This isn’t the India that the tourist usually sees, it’s a tour of Northern India in the raw….pure and natural. 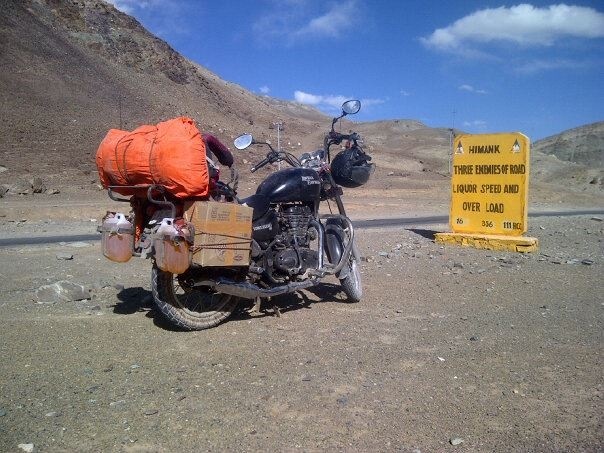 Exploring Northern India on a motorbike is the most adventurous way to explore this vast, incredible part of India. … the ultimate in adventure with nothing between you and the dramatic and awe-inspiring landscape! In this part of Northern India you will be on top of the world, and that is exactly how you’ll feel. The young men of the Sharma family have been travelling round the Himalayas for years. It is the part of India that they love best, and their preferred way of doing it is on a motorbike. Their private motorbike tours will be personalized to meet your needs in terms of time, distance, difficulty and budget. 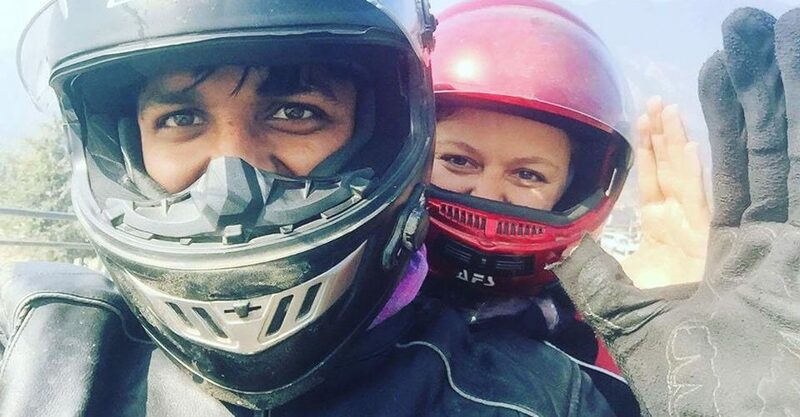 You have the choice of riding your own motorbike or riding pillion behind one of the Sharma family. 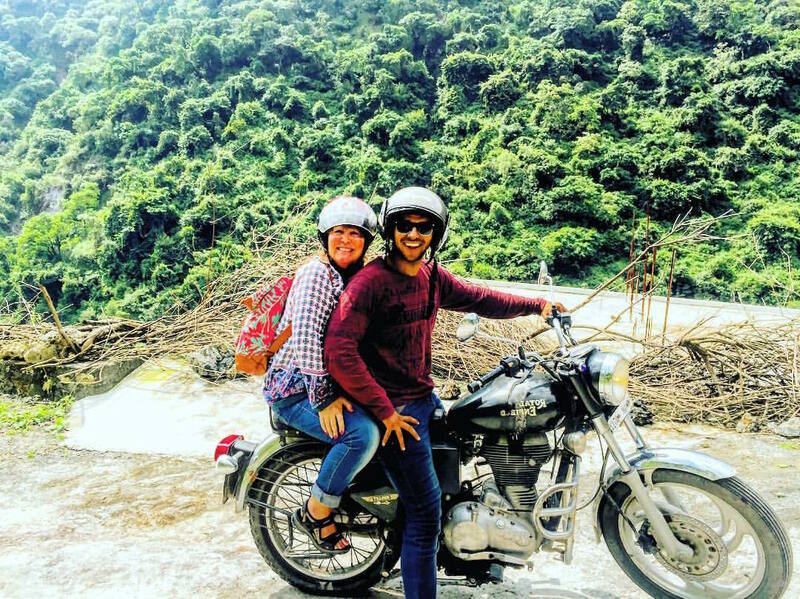 These experienced young riders will take you through varied landscapes, often off the beaten path, where you can stop off at local villages for food and chai, or just to meet the people. The Himalayan sunsets will be a part of your Northern India tour that will remain in your memory forever. 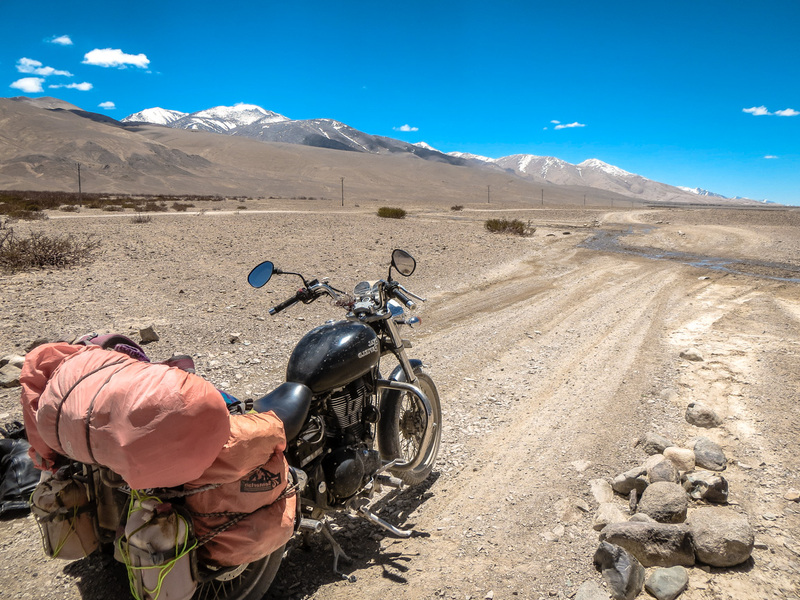 A private motorbike tour of Northern India is the holiday in India that you will be talking about for the rest of your life. All sorts of safety equipment will be provided: fully protected jacket, leg guards, helmet and gloves. We would find hotels, homestays or relatively cheap and friendly guest houses depending upon requirement. Day 05. Nainital – Pithoragarh. ( This will be a nice long drive through mountains with a lot of little towns in the middle ) Pithoragah is going to be just a stopover as after pithoragarh we will have a little rough and taugh road that takes us to munsyari. Day 08. Munsyari – Chokhri. ( This day we will do the same route as on the way to munsyari for a while and later the roads are quite impressive with beautiful views again ) Its special. Day 14. Rishikesh. 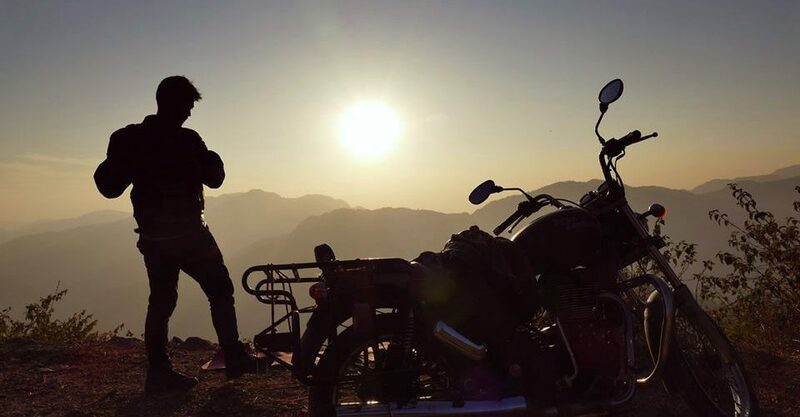 ( Ride around some beautiful places around rishikesh , with some off roads that take you up for a beautiful sunset ) This day evening we will drop the motorbikes. Day 15. Rishikesh – Delhi on car. Day 16. Delhi airport drop. Timing for the most of this trip will be flexible but preferably leaving early gives us less traffic for some busy routes. This itinerary for 16 days will cost you 178,000 Indian rupees per person. 500cc Royal Enfield Motorbike, Water bottles throughout the trip, Fuel for Motorbikes, English/Hindi speaking guide leading the group, Car from Day 01st till Day 16th for the luggage and rest if you wish, taxes, tolls, parking, fuel for car, parking, Hotels, snacks and breakfast/Dinner throughout the trip. Tips , Insurance , and anything other than mentioned. People must carry their motorbike jackets and Helmets with them. If people need helmet or Jackets, I will need to know in advance so I can arrange. For basic Helmets there won’t be any extra cost but for Jacket there will be extra cost. If there is any other requirement or have less days, please let me know and I will be very happy to assist. Looking forward to give you all a wonderful time in India. 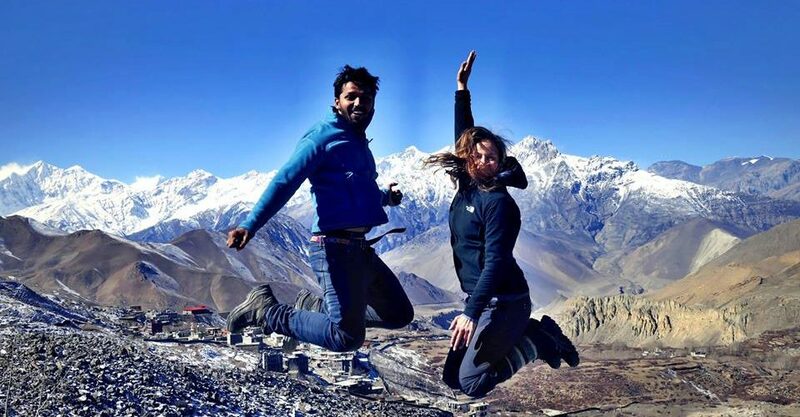 Please email us at tarun@adventureholidaytours.com for more information.